DISPLAYING ELITE HOCKEY AGILITY WORLDWIDE! "My son Guy played on Sunday and helped his team wine 5 - 3 with a goal and an assist and 'killed off' 4 penalty killing situations of 5 on 3! He says he's seeing the play develop better and is able to react and respond quicker and more effectively - while using up less energy in the process! Online Self Training seems to be really helping him in his defensive role as much as his scoring!" "You are truly a pioneer in the development of the hockey player, without a doubt as innovative and knowledgeable as anyone who has come before you." 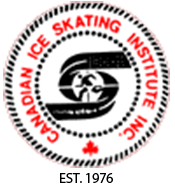 "Austin's father and I have certainly noticed a dramatic evolution in his skating and game awareness ability since taking part in your online program. We are looking forward to his next opportunity to skate for you." "Benefits: Dynamic visual acuity, eye tracking, peripheral awareness, depth perception, eye-hand-foot-body coordination." "I would like to tell you that I just finished a game of track the puck. I got very good. I'm excited because I only have 11 games left to do. I find now that when I do it consecutively I do much better than if I do it every once in a while. I thank you very much for this program. My goal is to finish AA by the end of the week. I'm looking forward-to moving up to AAA." "I started the online training and it is great. I will continue to do it at least 2 times a day." "...Lucas got 5 points in his last game. He loves your Track the Puck system. He seems to be making very smart plays in his on-ice game. He's looking forward to getting to his next level." "Steven's game play has reached a new level. He seems better focused on primary action, not so easily distracted. His reaction times are improving and his decision making is split-second... Thank you for guiding us in the direction of visual training." I just tried your new online training program "Dynamic Vision". I think it's great! It's more of a challenge than "Track the Puck", so it interests me. Steven has tried "Dynamic Vision", 2 tests, and likes it. He thinks it's fun. This dynamic interaction has mentally stimulated him and I sense his excitement. Thanks for striving to create the next "Great One", he is out there somewhere. Lucas has tried your dynamic vison a few times. He gets excited to go on line and try it. He enjoys it quite a lot. It puts him well in tune with his eye and brain reaction. It's a great challange! I finally got chance to try out for myself your Dynamic Vision ... All I can say is WOW! This is truly AWESOME and I would say 5-10 times more STIMULATING than Track the Puck... Though TTP is a logical beginning, DV is MUCH MORE HOCKEY LIKE! What a sequel! IT'S FANTASTIC! After trying the new program only four times, I feel that it is more challenging than Track the Puck because of the moving pucks. The moving pucks make me think quicker and also make it much more exciting. I love the new program. I enjoyed the track the puck training. It really helped me during games. Also I think the dynamic vision was fun and challenging. The competition is tough but I seem to be getting better. Of the programs I especially like your Wide Angle Vision. THANK YOU FOR YOUR INGENUITY! These "exercises" are phenominal! THEY WILL MAKE MY SON A BETTER PLAYER and BETTER ACADEMIC STUDENT AS WELL!!!! I tried your new game and thought it was great. I like how you really need to think and concentrate on what you're doing. I also like it because it's a fun challenge that my whole family likes.